​It is almost unbelievable that anyone hasn’t read this book. After all, it has been around for more than half a century. Asides being one of the first works of modern African literature, it is a classic that has stood the test of time. However, the truth remains that for all the millions whose literary experience has been enriched by Achebe’s first novel, many more haven’t got a whiff of its existence.My interest in it was piqued very early in childhood as I read many an excerpt in the various readers used in English comprehension class. It is incredulous I didn’t get around to reading the whole work until very recently. Perhaps there is some advantage to reading it in today’s fast-paced, smartphone-crazed world. The book centres around Okonkwo, a strong and eminent man in his community who fought to achieve his noble status, a far cry from that which his father held before him. This exemplifies the fruit of hard work and encourages young people that they can have a better life than their background dictates. 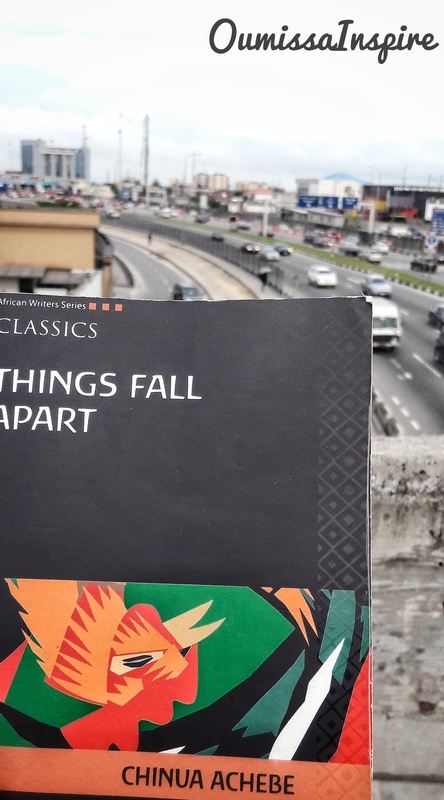 To a millenial, Things Fall Apart explores a culture fraught such unacceptable norms as human sacrifice,leaving twins to die in the Evil Forest, sexism- he once aimed a loaded gun a one of his wives!, he constantly referred to weak men as women, he almost died of shame when he was banished to his mother’s village. But it is all presented as the way of life of these people. We are not allowed to be judgemental as it was acceptable to them and not a yardstick to assess them as superior or inferior to the white man. This same man was loved by his family. His favourite child was a daughter. His second wife actually deserted her former husband to be with him. Talk about bold gestures in the name of love. For all the harshness Okonkwo seems to be full of, we get to see his other side. The side that enjoyed wrestling and was the village champion in his heyday. We see the man who beats his wives but also surreptitiously follows one of them to the fearful shrine of Agbala, the Oracle in quiet nocturnal pursuit of the priestess who took their child. We understand that here is a man who does not give in to his humane nature for fear of ending up like his father the penniless drunk who he judged to be weak and foolish. It is this constant struggle that makes him go beyond what is required of him according to custom and kill Ikemefuna the young boy marked for retributional sacrifice. Through him and his family, we see that their society was a complex and advanced one in its own way, not simplistic and primitive as the Eurocentric view of the fifties and much of the nineteenth century posits. With ogbanjes ( children thought to die and be reborn countless times out of wickedness) ,herbal remedies, cuisine, rivalry with other villages, taking of titles based on distinction, marriage customs, village square meetings, masquerades,children stories,losing one’s child to an unfamiliar religion and culture,the tumultuous changes the white man brought to their way of life (changes that culminated in the protagonist’s suicide) ; Achebe helps us understand a people, their day-to-day life, their struggle and their survival. In wrapping so many valid and intriguing issues into such a small volume, the true genius of this writer can be seen. Little wonder then that this has remained one of the best exports of Nigeria and Africa. It is my guess that this is not the last review yet.